LASSITER, Roxie, loving wife and mother of four children, passed away at the age of 79, Tuesday, August 28, 2018. Roxie was born August 1, 1939 in Abbeville, GA to Alver and Edna Smith. She raised four daughters; Nancy, Diane, Marie, and Sandy. She retired from the County of Henrico after many years of service. Roxie had a passion for cooking and shared that with her family, especially during the holidays. Roxie is preceded in death by her father, Alver Smith; mother, Edna Smith; and two brothers; David and Jimmy Smith. 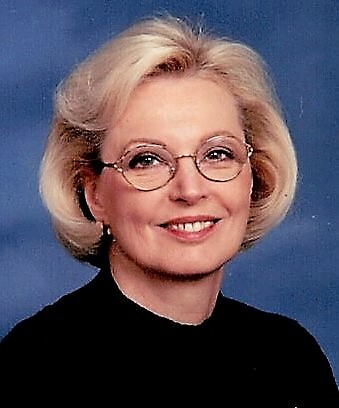 She is survived by her husband, Paul Lassiter; her daughters; Nancy Lamurey, Diane Horne, Marie Osborn, and Sandy Ghafary; her sister, Sandra Chaney; brothers, Otis Smith, Charles Smith, and Paul Smith; grandchildren, Wayne Lamurey, Shane Wilson, David Roush, Hannah Ghafary, Sara Ghafary and a great-grandson, Dylan Lamurey. The family will receive friends, Thursday, August 30, 2018, from 6 – 8 pm, at Monaghan Funeral Home, 7300 Creighton Pkwy. Mechanicsville, VA 23111, where a Funeral Service will be held, 10 am, Friday, August 31, 2018, with interment to follow at Signal Hill Memorial Park.